Even here where the temperatures reach above 100 degrees for more than three months and winter months dropping in the teens, these succulents grow and spread across the bench cheering up a blank space in a corner of the yard. Simply cover the seat of the bench and up the back a ways in burlap and then a layer of thick weed mat. Burlap is more appealing to look at then the weed mat, so that is the only reason for using it. 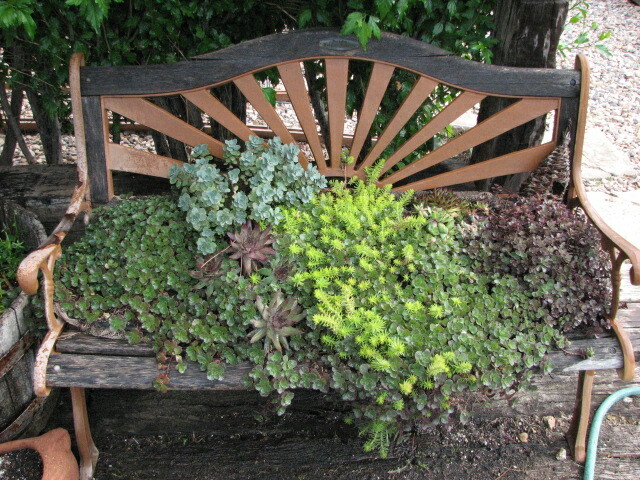 Use a good potting soil to fill in the seat and up the back and start planting your favorite succulents. They will fill in with time but for an instant look plant thickly. 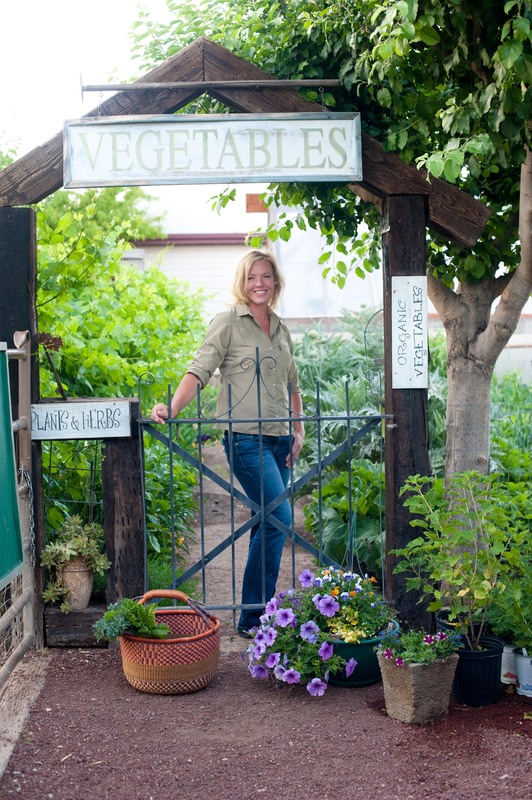 Tuck the burlap in and around the plants to cover any potting soil and weed mat. Water in! I only water about 2 to 3 times a week here in the desert and no water during the winter unless we have had a complete drought. Use Hen and Chicks, Dragons Blood Sedums, Stonecrop and anything available. Once they start to crowd out, thin out and share with a friend for their new bench.